Ships tomorrow if you order in the next 23 hours 47 minutes. 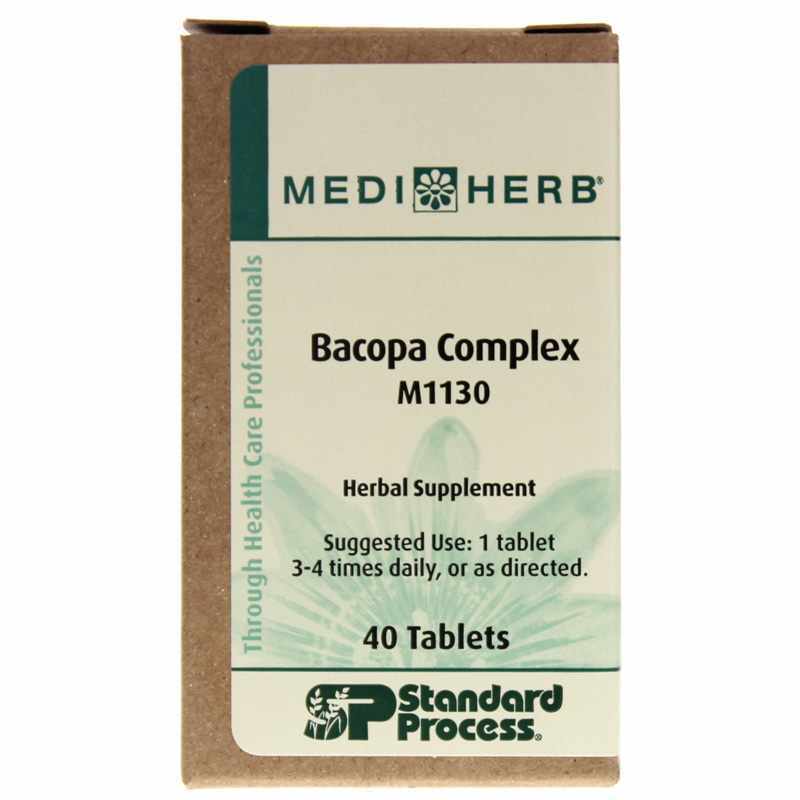 Bacopa Complex by Standard Process is an herbal brain support supplement that combines the herbs Bacopa, Schisandra, Eleuthero and the essential oil of Rosemary. These herbs contribute key phytochemicals to the blend such as dammarane saponins, other saponins, flavonoids, sterols, dibenzocyclooctene lignans, a diverse group of constituents called eleutherosides, monoterpenes and sesquiterpenes. Other Ingredients: Calcium acid phosphate, cellulose, sodium starch glycollate, maltodextrin, hypromellose, magnesium stearate and silica. Adults: Take 1 tablet 3 to 4 times daily or as recommended by a healthcare professional. Contraindicated in pregnancy. Contraindicated during lactation unless otherwise directed by a qualified healthcare professional. 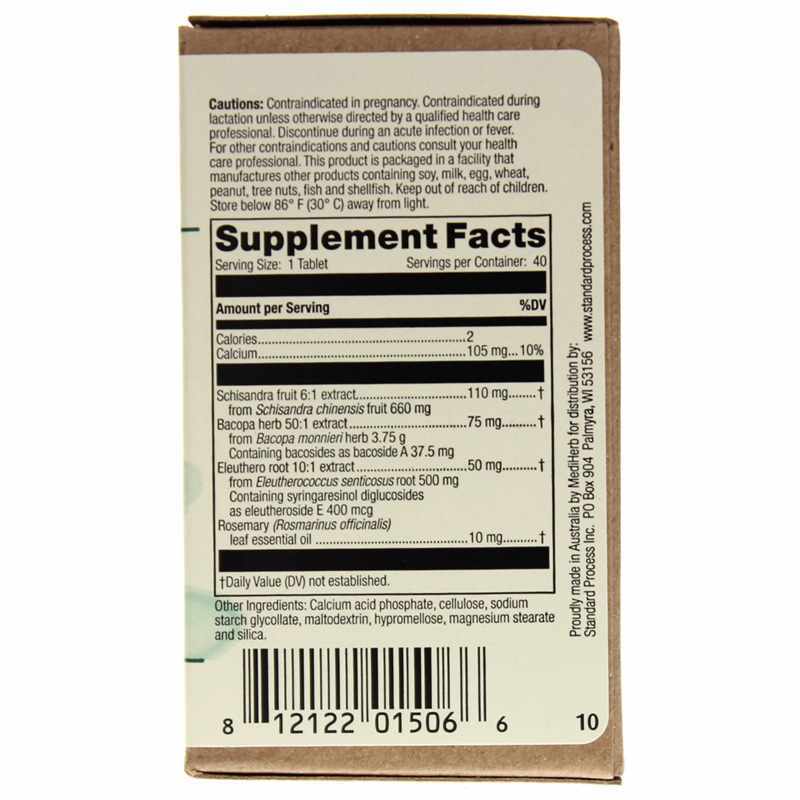 Discontinue during an acute infection or fever. Keep out of the reach of children.